Let us now imagine that our room moves uniformly through space. A man outside sees, through the glass walls of the moving room (or train if you prefer), everything which is going on inside. From the measurements of the inside observer he can deduce the velocity of sound relative to his c.s. connected with his surroundings, relative to which the room moves. Here again is the old, much discussed, problem of determining the velocity in one c.s. if it is already known in another. The observer in the room claims: the velocity of sound is, for me, the same in all directions. The moving room carries the air in which the sound wave is propagated. The velocities observed in two c.s. moving uniformly, relative to each other, are connected by the classical transformation. The corresponding problem for light must be formulated a little differently. The observers in the room are no longer talking, but are sending light signals, or light waves in every direction. Let us further assume that the sources emitting the light signals are permanently resting in the room. The light waves move through the ether just as the sound waves moved through the air. Is the ether carried with the room as the air was? Since we have no mechanical picture of the ether, it is extremely difficult to answer this question. If the room is closed, the air inside is forced to move with it. There is obviously no sense in thinking of ether in this way, since all matter is immersed in it and it penetrates everywhere. No doors are closed to ether… There is not the slightest doubt as to the clarity of this verdict, although it is obtained through rather indirect experiments in view of the great technical difficulties caused by the enormous value of the velocity of light. The velocity of light is always the same in all c.s. independent of whether or not the emitting source moves, or how it moves. In case of sound, the vibration of the object creates displacement in the medium that is at the same macro level. In case of light, the “vibration” is occurring at a subatomic level, and so is the “displacement” of the “medium”. It is a whole different level. Motion at macro level may be compared to another motion at macro level in a meaningful way. Similarly, motion at subatomic level may be compared to another motion at subatomic level in a meaningful way. But we lose the relative significance when we try to compare motion at macro level to the motion at subatomic level. This is a problem of scales. We may be able to express this problem better in terms of disturbance levels. The macro level may be approximated as DL100, where the frequency of electromagnetic disturbance is so high, and variations so rapid, that it looks “solid”. The subatomic level may be approximated as DL50 where the frequency of the electromagnetic disturbance is less “dense” by a factor of 250. The motion of a wavelength at one level shall appear to be shrunk by a factor of 250 at another level. This comparison is hardly significant to the senses. The factor of 250 is likely to be inaccurate being a rough estimation, but it provides an explanation in terms of the orders of magnitude involved. The motion of the source of light at DL100 will hardly contribute to the motion of light at DL50. The speed of light shall appear to be constant in all coordinate systems from the perspective of DL100. Let’s imagine a drum inside another drum. They both are rotaing about the same axis. The outer drum is rotating at the speed of light of DL50. The inner drum is rotating at the ordinary speed of DL100. Let us also suppose that we are looking at a certain characteristic through a narrow slit. If we are at the inner drum looking at that characteristic in the outer drum, our c.s. (coordinate system) shall be the inner drum, and we shall see that characteristic in the outer drum changing very rapidly. But if we are at the outer drum looking at that characteristic in the inner drum, our c.s.shall be the outer drum, and we shall see that characteristic in the inner drum changing very slowly. In fact, when the c.s. is at DL100, and the background is DL50, the background shall appear to be full of light rays bouncing around at incredible speeds, as is the case in our experience. But if the c.s. is at DL50 and the background is at DL100, the background shall appear to be dark and solid with a feeling of being totally closed in. Einstein considers all c.s. to be at DL100 only. From that c.s. the differences in the surrounding speed of light shall not be appreciable because of the order of magnitude involved, and the speed of light shall appear to be constant. 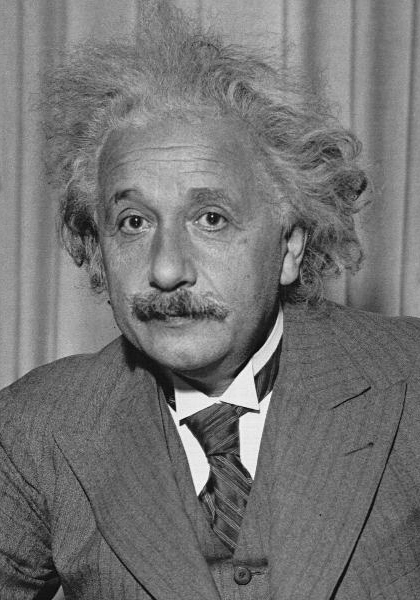 The limitation in Einstein’s Theory of Relativity is that Einstein does not consider the coordinate system at any level other than the material level of DL100. I have been following your posts, although I have not had any insights worthy of communicating lately. Evidence seems to suggest that space is a somethingness, more substantial than a “viewpoint of dimension” but I am having trouble going so far as calling it a ‘substance’. That I use the word somethingness, which contains the word ‘thing’ is simply a failure if language, rather than a meaningful coincidence. Space seems to exist on a reality level that has not yet been addressed by language. After all this discussion, I am still having difficulty accepting the basis that EMR is a vibration propagating across space rather than a substance itself traveling through space. At these fundamental levels, the difference between intention and substance is blurred. The idea that packets of ‘intention’ can act as a substance is an equally difficult concept to neatly fit into the entire puzzle. From my memories, I have seen that many of these complexities and conundrums of physical existence were put in place with the express purpose of making complete understanding difficult for most. Ownership and control were the intent. But they are not unknowable. Yes, I keep coming back to this ‘life’ thing as it applies to the inner workings of the univ. but that is my purpose here, to add what is not already extant. We can look at mass and make observations and theories that we are comfortable with, and we can speculate on life and resolve our confusions to an acceptable level, but where life interacts with MEST, there seems to be nebulous areas which we just cannot get a solid grasp of. At least for me. I will retire to my teepee and smoke on it. PS: The scale of disturbance levels from 1 to 100, whether a geometric progression or logarithmic multipliers, is beyond my current field of vision. Comparing the number 1 to the number google is unreal to me. Like the number of atoms contained within the sun. I understand that the numbers used are arbitrary, such as the tone scale, and are used to convey a concept. But the scale is so broad as to make logical thought with it a bit difficult. That is exactly what I am pointing out here. This is a problem of scales. I am trying to express the situation with speed of light using the logarithmic scale of disturbance levels. What I have been able to explain is why the speed of light appears to be constant in all inertial frames we are familiar with (as postulated by Einstein). This doesn’t mean that the speed of light has to be constant. By the disturbance theory being developed here, the speed of light is not necessarily constant. It only appears to be constant because of the enormity of scales involved. I am beginning to see your actual intent. You are exploring various concepts which may eventually converge and reveal truth, actuality. My actual intent is to look more closely at what is there. It is applying Mindful Subject Clearing to Physics. 1. The velocity of light does not depend on the motion of the emitting source. 2. It must not be assumed that the moving body carries the surrounding ether along. We must, therefore, give up the analogy between sound and light waves and turn to the second possibility: that all matter moves through the ether, which takes no part whatever in the motion. This means that we assume the existence of a sea of ether with all c.s. resting in it, or moving relative to it. Suppose we leave, for a while, the question as to whether experiment proved or disproved this theory. It will be better to become more familiar with the meaning of this new assumption and with the conclusions which can be drawn from it. I do not think that we should give up the analogy between sound and light waves. The analogy applies when we recognize that sound waves operate at DL100 while light waves operate at DL50. The variations at DL100 are much more rapid, but the forward advane of disturbance is several order of magnitudes slower, than at DL50. Matter appears to move through ether because the motion of matter has insignificant effect on the motion of ether. From the viewpoint of DL100, the advance of disturbance at DL50 is so rapid that it escapes our senses and simply appears as the background of space. Since we are assuming all our c.s. at DL100, the background of DL50 appears as a constant of space. We then see the motion at DL100 relative to other motion at DL100. There is no perception of absolute motion at DL100 because it cannot be compared to the “motion at DL50” of background space. The Disturbance Hypothesis of Light provides a new look at Einstein’s assumption. Einstein is almost correct in assuming that the velocity of light does not depend on the motion of the emitting source; and that the moving body does not carry the surrounding ether along. Einstein considers all c.s. to be at DL100 only. From that c.s. the differences in the surrounding speed of light shall not be appreciable because of the order of magnitude, and the speed of light shall appear to be constant. Einstein does not consider c.s. to be at any other level other than the material level of DL100. P.S. >>> I have added the contents of this post to the OP above. That is a good way of looking at it. The motion of light appears to us as 3 x 1010 cm per second. But this is from the perspective of DL100. From the perspective of DL50, the speed of light may appear to be about 3 cm per second and any motion at DL100 shall appear as completely frozen. There exists a c.s. resting relative to the ether-sea. In mechanics, not one of the many c.s. moving uniformly, relative to each other, could be distinguished. All such c.s. were equally “good” or “bad”. If we have two c.s. moving uniformly, relative to each other, it is meaningless, in mechanics, to ask which of them is in motion and which at rest. Only relative uniform motion can be observed. We cannot talk about absolute uniform motion because of the Galilean relativity principle. What is meant by the statement that absolute and not only relative uniform motion exists? Simply that there exists one c.s. in which some of the laws of nature are different from those in all others. Also that every observer can detect whether his c.s. is at rest or in motion by comparing the laws valid in it with those valid in the only one which has the absolute monopoly of serving as the standard c.s. Here is a different state of affairs from classical mechanics, where absolute uniform motion is quite meaningless because of Galileo’s law of inertia. All c.s. shall appear at rest at DL100 compared to the ether-sea at DL50. But from the perspective of DL100, none of c.s. can be assumed to be absolutely at rest. Differences among them may be appreciated only in relative terms. What conclusions can be drawn in the domain of field phenomena if motion through ether is assumed? This would mean that there exists one c.s. distinct from all others, at rest relative to the ether-sea. It is quite clear that some of the laws of nature must be different in this c.s., otherwise the phrase “motion through ether” would be meaningless. If the Galilean relativity principle is valid, then motion through ether makes no sense at all. It is impossible to reconcile these two ideas. If, however, there exists one special c.s. fixed by the ether, then to speak of “absolute motion” or “absolute rest” has a definite meaning. From the perspective of field phenomenon, we have two different kinds of disturbances in the primordial field: (a) Light at DL50, and (b) matter at DL100. The two disturbances are far apart by a factor of 250 in terms of frequency. Higher frequency means higher inertia (greater resistance to motion), and therefore, a lower speed. This means that wave-length must shrink at a higher rate than the increase in frequency. Here a high speed wave is being transformed into low speed particles. In some way wave momentum is being converted into mass momentum, where inertia is being converted into mass. It is a phenomenon of field condensation. Here is another comment on what Einstein said above. I look at ether as a field at DL0 in which disturbance is taking place. This disturbance then moves through ether as a wave. It is purely a motion of energy. The medium of ether itself is not moving. It is agitating in place. It is to be kept in mind that both light and matter are disturbances. They both represent motion of energy. But the ether at DL100 is agitating 250 times faster than the ether at DL50 and the disturbance is moving forward at a much slower rate. It appears that at a very high rate of agitation the electric and magnetic fields lock up and agitate in the same pace without moving forward. This would be the description of a particle with mass, which would lie passively in the background of undisturbed ether. It is no longer a wavelike disturbance. Instead it seems to have taken the form of a standing wave. The rapid agitation appears as mass. Mass attracting mass seems to be a resonance of agitations that make up the masses. An island of agitation shall attract another island of agitation much like an object floating on the surface of water attract another floating object. There may be a phenomena in the ether similar to surface tension. The c.s. closest to being at rest would be undisturbed ether at DL0. Both light and matter comprise of ether in agitation. Matter as a locked up agitation gives the appearance of being at rest, but it is very much agitated inside. It would be an error to pin the c.s. to it. The floating motion of matter is very different from the motion of an agitation. There is neither matter moving through ether nor is there any dragging of ether. As a partcle moves, the undisturbed ether enters the boundary of the particle and becomes very agitated inside the particle. It then becomes undisturbed again upon leaving the boundary on the other side. So the particle is moving through the field of ether as a disturbance but extremely slowly. All disturbances at various levels are moving through ether energy disturbance. Even what appears as mass is moving through ether as a disturbance only. Obviously, the laws of nature shall be different at different disturbance levels of DL0, DL50 and DL100. The Galilean relativity principle seems to be valid at DL100 only. As we go to higher disturbance levels, the changes in the electric/magnetic phases of disturbance are much more rapid, but the forward advance is much slower. Thus, inertia has to do with the rapidity of changes within the disturbance. This rapidity of changes gives the disturbance its form of mass. The form of mass may appear to be static but that form itself is made up of changes that are occurring incredibly rapidly. Thus, in a particle, such as neutron, there are incredibly rapid changes going on inside. We must, therefore, give up the analogy between sound and light waves and turn to the second possibility: that all matter moves through the ether, which takes no part whatever in the motion. I think that the analogy between sound and light ways stands with some understanding of the differences in their Disturbance Levels. Matter appears to move through ether because the two exist at entirely different Disturbance Levels, where one level hardly contributes to the motion at the other level. Ether seems to act as a non-involved background of matter. More likely, the background is space at DL0, in which we have two distinct layers of disturbance. (1) Visible light at DL50. We are assuming the Coordinate System to be at DL100, whereas it should be at DL0. Our coordinate system is reversed. This may be an excellent observation! We really have no choice. We tried to save the Galilean relativity principle by assuming that systems carry the ether along in their motion, but this led to a contradiction with experiment. The only way out is to abandon the Galilean relativity principle and try out the assumption that all bodies move through the calm ether-sea. Einstein’s conclusion that all bodies move through the calm ether-sea is consistent with the Disturbance Theory. However, it is not just all bodies. It is all disturbances. The body should be looked upon as an extremely agitated disturbance. The less agitated is a disturbances, the faster it moves. Let us now write down the facts which have been sufficiently confirmed by experiment without bothering any more about the “e___r” problem. 1. The velocity of light in empty space always has its standard value, independent of the motion of the source or receiver of light. 2. In two c.s. moving uniformly, relative to each other, all laws of nature are exactly identical and there is no way of distinguishing absolute uniform motion. There are many experiments to confirm these two statements and not a single one to contradict either of them. The first statement expresses the constant character of the velocity of light, the second generalizes the Galilean relativity principle, formulated for mechanical phenomena, to all happenings in nature. Only thing I shall add here to (1) is that the velocity of earth in the coordinate system attached to the inertial level of ether is so small that it is virtually undetectable. In comparison, the velocity of light is so much greater compared to the velocity of earth that it appears to be constant in a coordinate system attached to the inertial level of earth. No experiment so far has been accurate enough to detect the difference in velocities of the colors in the visible spectrum. No experiments have been conducted to compare the velocity of light to the velocity of radio waves to the far left of the electromagnetic spectrum; or to the velocity of cosmic rays to the far right of the electromagnetic spectrum to verify if the velocity of light can be considered a standard. 3. Positions and velocities are transformed from one inertial system to another according to the classical transformation. The contradiction is then evident. We cannot combine (1), (2), and (3). The classical transformation seems too obvious and simple for any attempt to change it. We have already tried to change (1) and (2) and came to a disagreement with experiment. All theories concerning the motion of “e___r” required an alteration of (1) and (2). This was no good. Once more we realize the serious character of our difficulties. A new clue is needed. It is supplied by accepting the fundamental assumptions (1) and (2), and, strange though it seems, giving up (3). The new clue starts from an analysis of the most fundamental and primitive concepts; we shall show how this analysis forces us to change our old views and removes all our difficulties. I disagree with Einstein here about the above. For me. (1) is incorrect. Per the Disturbance hypothesis the inertia of light, and therefore its velocity shall vary with frequency. This is simply not appreciable in a coordinate system attached to the inertial level of earth. (2) In two c.s. moving uniformly, relative to each other, all laws of nature are exactly identical only when the two c.s. attached to the same inertial level, such as, the inertial level of earth. (3) Classical transformation works only in c.s. attached to the same inertial level, such as, the inertial level of earth.